At Clear Fork Dental, we add a holistic touch to our method of dental care. Our office is free of fluoride and metal, and we only use biocompatible materials to restore damaged teeth. Drs. Cole and Shelby offer holistic dentistry in Fort Worth for patients who are particular about their care and only want the most natural treatment possible. We are committed to providing services that heal your entire body, not just your smile. To schedule your next appointment, call Clear Fork Dental today! When you consider the health of your smile, it’s important to know the association between your oral health and your overall wellbeing. While most dentists focus on individual teeth and surrounding oral structures, our holistic practitioners take your bodily health into account during treatment. Our dentists offer care designed with your comfort in mind, whether you are experiencing dental pain or would like to remove amalgam metals from your system. To better serve our patients, our treatments do not include the use of metal and fluoride; we only use biocompatible materials. Patients who would like to avoid toxins in their dental treatments can find the help they need at our office. We provide advice on proper nutrition and natural practices as they relate to the health and strength of your smile. For example, when we work with patients experiencing gum disease, we focus on the causes rather than just the symptoms. This involves having the patient incorporate more nutrients into their diet, namely vitamin C.
At Clear Fork Dental, we work with two licensed massage therapists. They regularly perform relaxing neck massages for patients after extensive procedures. If you are experiencing regular headaches, you may benefit from cranial facial therapy, which addresses the bones of the head, spinal column, and sacrum. This treatment is designed to reduce both pain and stress and can alleviate dental conditions caused by tense muscles around jaw joints that damage teeth over time. 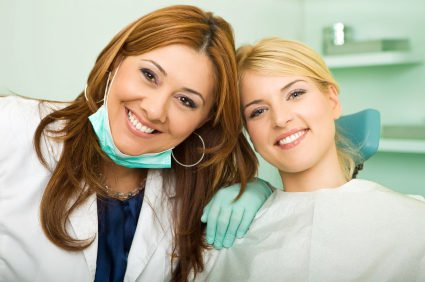 We pride ourselves on providing a comfortable atmosphere for all of our patients. Our friendly staff enjoys getting acquainted with new patients, learning about their lifestyles, and how they would like their treatment to proceed. When you visit Clear Fork Dental, you are making a commitment not only to preserve the health of your smile but your overall wellbeing and state of mind as well. Schedule Your Holistic Dental Session Today! Drs. Cole and Shelby provide treatment designed to address a patient’s wellbeing, not just individual teeth. We offer comprehensive and holistic dental treatment in Fort Worth for patients who would like a more natural approach to healthcare. Call our office today to schedule a consultation!